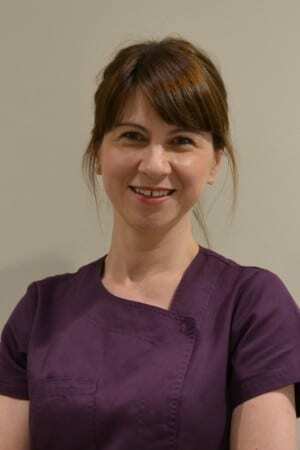 Eva graduated from Kings College Hospital London in 2013 as a Dental Hygienist and Therapist. She is enthusiastic about prevention and treatment of periodontal disease and enjoys spending time with her patients motivating them and helping establish good oral hygiene routine suited to their individual needs. She has an empathetic approach which helps patients who are nervous about dental treatment. Eva is committed to Continuing Professional Development and attends numerous courses each year ensuring her skills remain up to date. She is a member of British Society of Periodontology, British Association of Dental Hygiene and Therapy and Dental Trauma UK. Prior to entering the dental profession she was awarded a Masters Degree in Physical Rehabilitation in 1997 in Krakow, Poland.